There's another villain lined up for Spider-Man: Homecoming, but his presence could signal even more evil to come. 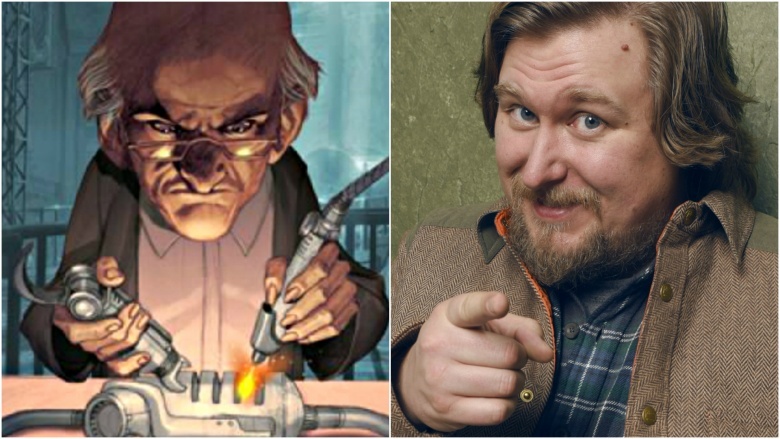 Michael Chernus (Orange is the New Black, The Bourne Legacy) will play the Tinkerer in Marvel's Spider-Man reboot, according to Deadline. But fans of the comics know the character – something of a diabolical MacGyver – rarely works alone. He often builds gadgets for other villains, like Scorpion's tail and Mysterio's suit. Michael Keaton will play the main villain, Vulture, but Screen Rant notes that the addition might mean there's another bad guy to come. Maybe Mysterio? The cast of Spider-Man: Homecoming is already impressive: Robert Downey Jr. (as Iron Man), Marisa Tomei, Donald Glover, Zendaya and many more will be in the first Spidey solo flick with Tom Holland as the teenage web slinger. Check out our exclusive set photos for the movie set to drop July 7, 2017.